There was frost on the ground this morning. That’s a funny thing to type considering that there are parts of the country that are still hitting triple digits. 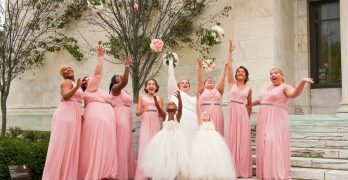 At the same time, this is one of my favorite times of year. You don’t have the roasting heat of summer but you don’t have to put on the snow boots yet. And when you’re spending fall in the mountains, wow is it beautiful. While the cooler weather can drive some people indoors, it’s also the perfect weather for outdoor bbqs, hanging around the campfire, or just sipping on a cup of a toasty beverage. 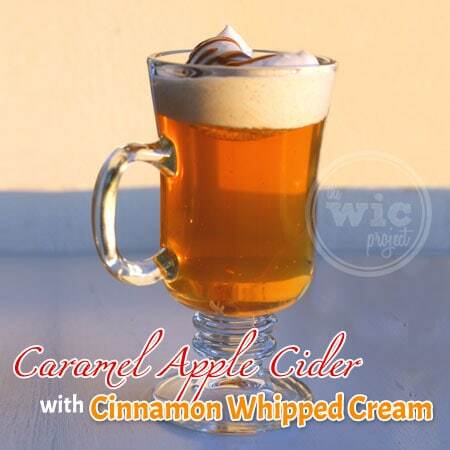 One of my favorite drinks during the fall is a twist on a traditional apple cider – Caramel Apple Cider with Cinnamon Whipped Cream. Mott’s Apple Juice is perfect for making hot apple cider because it’s made with 100% real apple juice with no sugar added. That means when I add my spices and my caramel, the can blend perfectly with pure apple goodness. As an added bonus, there are 2 servings of fruit per 8 oz. cup of Mott’s and has 120% of the daily recommended value of Vitamin C.
I use my slow cooker to make my hot apple cider. It can be brewed in a large pot as well, but I love the aroma that comes from slow cooking. That’s another great part about fall – how wonderful it smells. The air is so crisp and so clean. Sitting outside with a cup of Mott’s Caramel Apple Cider with Cinnamon Whipped Cream is the perfect way to wind down at the end of the day. A great accompaniment to a hot beverage are fresh baked cookies. While I’m usually a traditional chocolate chip cookie kind of gal, my first fall baking treat this year was Oatmeal M&M’s Fall Cookies. 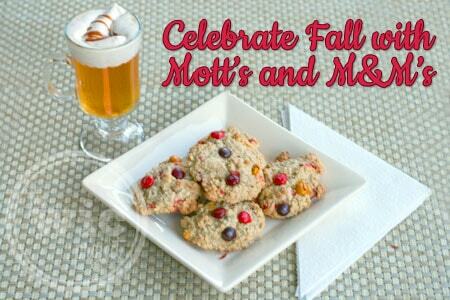 With their fun fall packaging and colors, M&M’s makes it easy to make fall-themed cookies for parties or just to enjoy. Fortunately, I had picked up all the ingredients for my fall baking adventure during an earlier trip to Walmart, so I was ready to start baking! 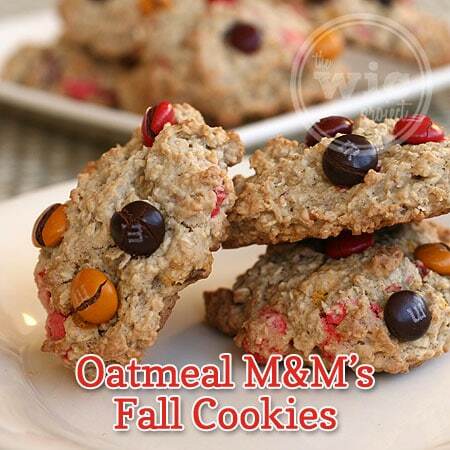 Delicious, soft oatmeal cookies with fall colored M&Ms. 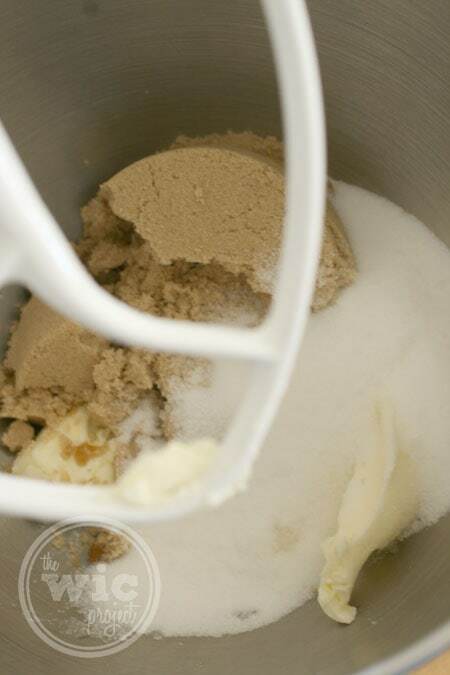 Cream butter, brown sugar, and white sugar on low speed until combined. Mix in oats, flour, baking soda, baking powder, salt, and cinnamon. Refrigerate dough for 15-20 minutes. Drop heaping, rounded tablespoons of dough onto the baking sheet, spaced 2 inches apart. Bake cookies until golden and just set, about 13-15 minutes. Remove from oven and let cookies cool on baking sheets for 5 minutes. Move cookies to a wire rack and let cool completely. 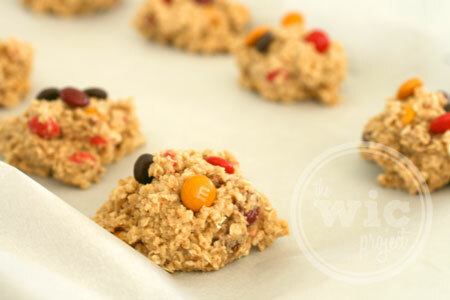 To start your Oatmeal M&M’s Fall Cookies, cream your room temperature butter, brown sugar, and white sugar in a mixer. Once that mixture is smooth, add the eggs and Mott’s applesauce. 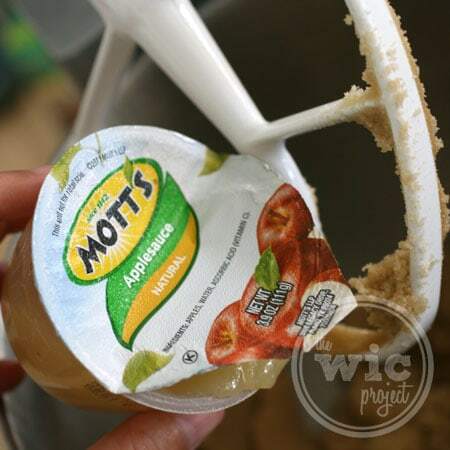 The Mott’s applesauce cups are the perfect size for this recipe – just pour the whole thing into the dough. Applesauce is great for helping to make your cookies soft. Next, you’re going to mix in the dry ingredients – the oats, flour, baking soda, baking powder, salt, cinnamon, and best of all the fall color M&Ms. Once everything is mixed together, put the cookie dough mixture in the fridge for about 15 minutes. This will chill the dough and help keep the cookies from spreading and becoming too thin when you bake them. After your dough is chilled, drop heaping, rounded tablespoons of cookie dough onto parchment paper lined cookie sheets. The parchment paper will keep the cookies from sticking without having to use oil or a spray. If you have extra M&Ms, I recommend topping your cookie dough with some M&Ms as well. That way you’ll have the lovely fall colors on top of the cookies AND inside the cookies. All that’s left now is to bake, let them cool, and enjoy! What are some of your favorite things to bake or drink during the fall season? Want more Fall Baking and Entertaining ideas? 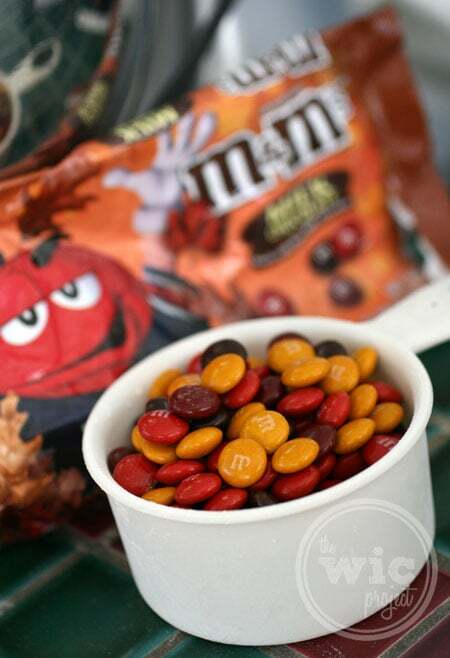 Follow M&Ms on Facebook and check out this Pinterest board that has some great ideas for fall! These both sound delicious!! Thank you for sharing. yum–this is what you were doing the other day. btw, you inspired me. I made choc. chip Halloween cookies and had caramel apple cider (from a mix). Oh my word, those cookies look delicious! I also love the cinnamon whip cream It’s like fall in a mug! Guess who’s printing this recipe RIGHT NOW! These look awesome! This pairing looks absolutely scrumptious and perfect for fall! 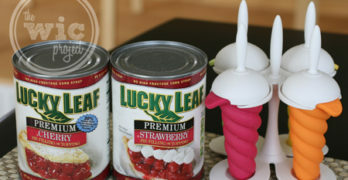 I want to try that whipped cream on my next apple cider! Oh those all look so delicious!! yum! I love using Applesauce in my cookies too! And it’s always Motts! They have the best tasting applesauce! YUMO! those look great. I love the fall theme recipes. Great idea to use the applesauce for the cookies! 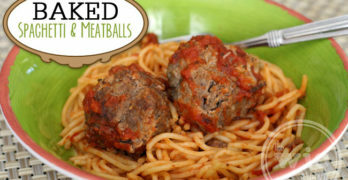 Definitely going to have to try this recipe! Those look DELICIOUS! Silly question, but when you say 12 for the serving size, is that one cookie per person? 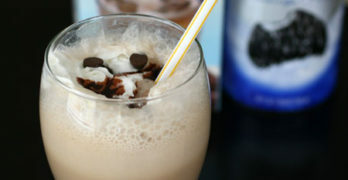 I’m trying to make these for a large crowd and needing to figure out how many times to multiply the recipe. Thanks! those look amazing. my kids would eat these simply because they see candy in them. i love that they are oatmeal rather than chocolate chip. Oh wow. I need to try this. Those cookies would be gone in 5 minutes. And I bet that cider tastes like Christmas. Yum! The snow just started falling outside and I feel like a cookie and a hot cup o’ something – these are perfect!